Technology vector footage of hand drawn icons. Pencil doodles in neutral colors. 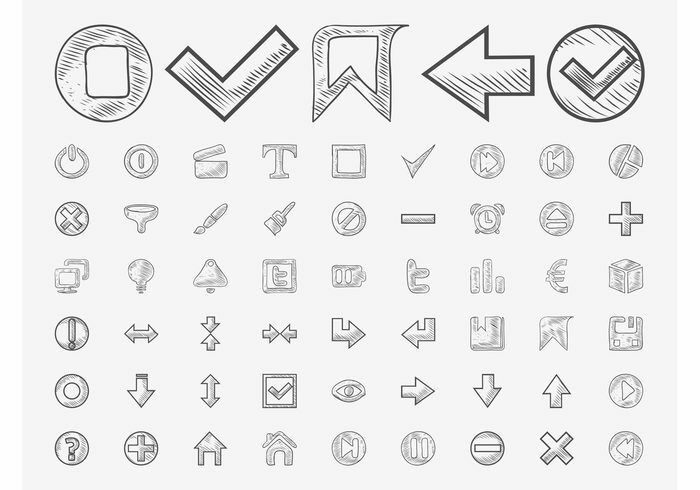 Icons for various actions, devices and websites – navigation arrows, play and pause buttons, home icons, Euro sign, Tumblr logo and many others. Free vectors for Internet, technology and computers visuals.